Drexel student and Scholly app creator Christopher Gray pitches his product in the "Shark Tank." Drexel University undergrad Christopher Gray announced a partnership with Saxbys on Monday, Feb. 23, after his successful appearance on ABC’s "Shark Tank" on Feb. 20. Saxbys will provide free memberships for Gray's app, Scholly, to all current and future seniors at Philadelphia’s Science Leadership Academy. The mobile and web app helps high-school students, current college students and graduate students find scholarships to pay for college. 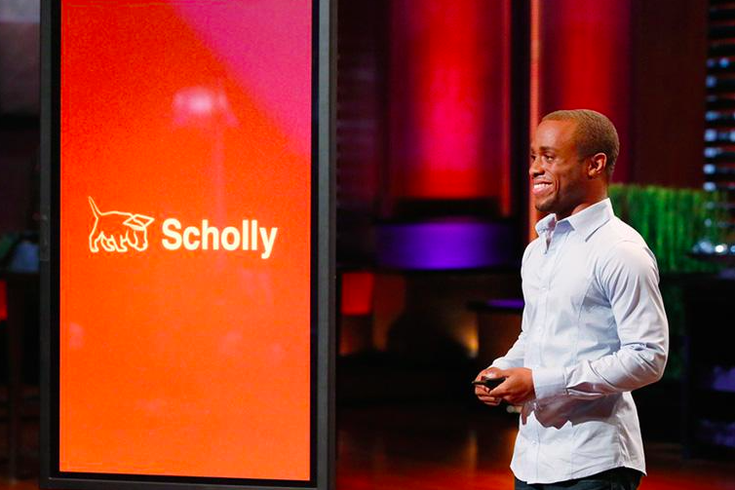 After pitching Scholly to a panel of investors and sparking a heated argument on "Shark Tank," Gray accepted a joint offer of $40,000 for a 15 percent stake from investors Lori Greiner and Daymond John. The app climbed to No. 1 on Apple’s App Store as of Monday morning. Watch a clip from what is described by ABC as one of “the most heated Shark fights ever” below.